The question that dooms everyone (every evening), unless one loves eating out every single night. I didn’t particularly try hard to answer this question, but its indeed a real-world problem and someone, somewhere in the world is probably writing a ML algorithm to solve it. He/she may as well arrive at solution to help them buy right stuff to stock in advance and computer bots can work with robotics arms to cook it. It’s not available to utilize these as just API’s now and I am not a brilliant coder to start coding it from starch. We all know smart fridge exist and I have seen one from LG that suggests what all is going to go bad(expire) soon. Once Alexa knows this information, It can give some recommendations and then find recipe options for you. Bingo now the easy stuff – Alexa read out the recipe and people have already done this. After writing this article I realized – someone has attempted this already in a hackathon however it’s not yet live, so my assumption is someone is already working on it. Alexa can ask you what all you may like to eat next week and build up a glossary list for next week based on what already in the fridge. You like something on street , Click a photo of something you want to make at home- Alexa tells-> Oops – missing ingredients e.g low quantity of milk, let Alexa add this in your list. If you find other good use-cases of this data-set, feel free to comment. This entry was posted in Technology, Uncategorized and tagged Alexa, AmazonEchodot, Smarthome, Technology on 23/08/2017 by kamaldeepsingh. After feedback from one of reader @teplife , I managed to change name of my Amazon Echo Dot from “Alexa”-> “Echo”. It actually worked. We sometimes by mistake called the unit “Alexa” but soon after we started to correct our self. 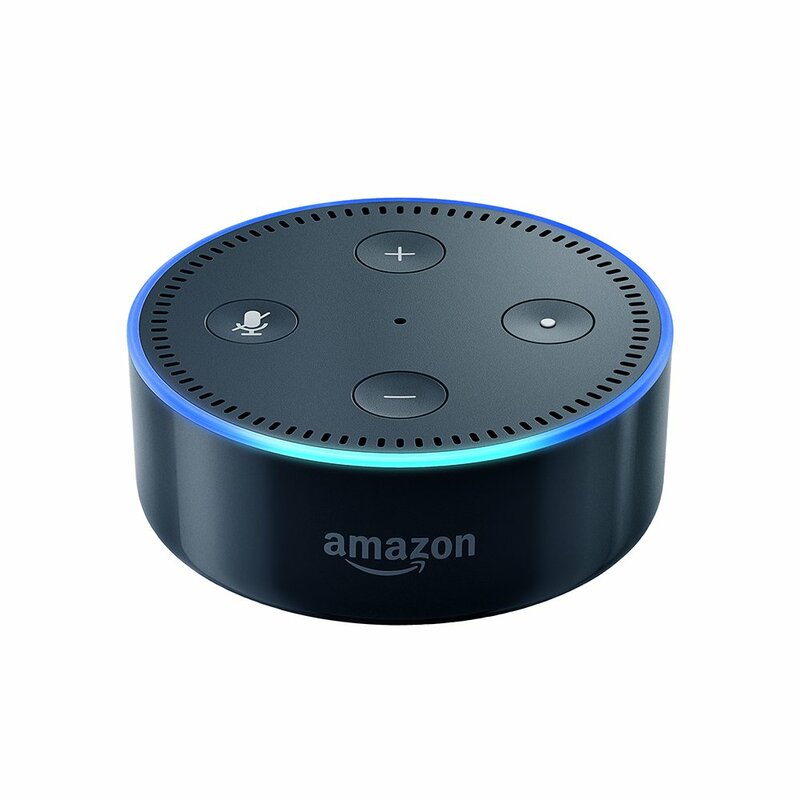 Our Son – He still loves the blue circle LED on Echo dot, however I am yet to wake him up with keyword “Alexa” but his brain his registering his name more now. PS: I must admit the voice recognition of Echo dot is not great with keyword “Echo” – or may be its to do with our Indian English Accent – my wife seems to suffer more than me. We both like the name “Alexa”. This entry was posted in Technology and tagged Alexa, AmazonEchodot, Homeautomation, Smarthome on 27/02/2017 by kamaldeepsingh. Why did I unplug – Amazon Alexa? With bit of a geek left in me I planned to carry out some degree of home-automation. To achieve this, like everyone I spent some $$$. I upgraded some of my old gadget and bought couple of new ones. The latest addition to the stable were Amazon Echo Dot and a smart plug. The next one I suppose will we smart lighting. The trigger for getting these was set-up of my 8 months old son’s new room. Echo-dot is positioned near my other devices like Router, Cloud Drive on TV unit, connected with Smart Plug and JBL Flip speaker in my son’s room. Alexa to Start and Stop Heating in the room. Alexa to play music in my wife’s home office setup in lounge. Alexa to manage to-do list and shopping list. One of the use-case which I didn’t think of when I bought was a play toy for my son. Every time I called “Alexa”, my son would crawl to TV Unit, stand up and start watching her blue spinning ring and response. It started as entertainment for us and this became an addition for 8 month old. This addiction to word “Alexa” became so bad that my son would wake up at 6:30 AM from his deep sleep to every Alexa Command. He wouldn’t otherwise respond to “Mama”, “Papa”, “Daddy” or his own name. With all the above happening and I can vouch that potential for these assistive devices is enormous in coming years and I will use it. For now with 8 month old while he is learning to walk, talk and listen – he needs to unlearn the word “Alexa”. Result – Amazon Echo Dot is un-plugged for a month and word Alexa is forbidden to be used. This entry was posted in Technology and tagged Alexa, AmazonEchodot, Homeautomation, Smarthome, Technology on 15/02/2017 by kamaldeepsingh.